This entry was posted in English, Greece, Italian, Italy on May 17, 2013 by Larysa. 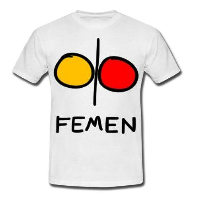 This entry was posted in Italian, Italy on February 24, 2013 by FEMEN. This entry was posted in English, Italian, Italy and tagged pope, vatican on November 7, 2011 by FEMEN.